Forward Foods started as a specialty cheese shop in the early 2000s. Suzy Thompson and her husband Steve Wampus Reynolds got their start in 2002 at Opolis, the Norman music venue at 113 N. Crawford Ave., operating a small coffee shop. 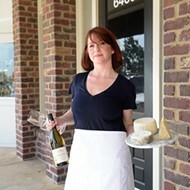 Thompson had long fostered an interest in cheesemongering, and around that time, a group of supportive University of Oklahoma professors urged her to start a shop. They promised they would buy any cheeses she brought in. Deciding to pursue that dream, Thompson and Reynolds closed the cafe to focus on opening a storefront. They did a few pop-up shops that were wildly successful, drawing crowds even in inclement weather. 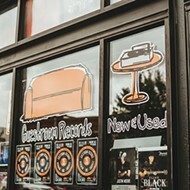 In 2006, they opened a brick-and-mortar location next to Guestroom Records in downtown Norman. Thompson said they ran into some logistical issues, including intermittent flooding and electrical problems, in the older building. “We would have our deliveries sent to Opolis, and we’d load them in our station wagon and drive them over,” Thompson said, explaining how they’d improvise when trucks couldn’t fit down their alley. In spite of the bumps, the store thrived as a neighborhood market, where they sold cheese and other pantry staples as well as home goods like Mrs. Meyer’s Clean Day (before the household cleaning brand was sold to SC Johnson in 2008) and Seventh Generation toilet paper. “We had pretty much every category covered that a supermarket would have, except for a meat and fish counter,” she said. 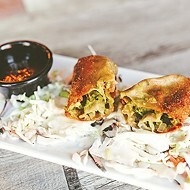 The vibe was modeled after the small neighborhood shops they had seen while living in New York. After six years on Main Street, the store moved to its slightly more practical location at 2001 W. Main St., Suite 111, a sizeable retail space with plenty of room for its cheese case and cafe seating. All the cheeses carried in the store are handmade, and Thompson’s passion for the products is unmistakable. She said food deliveries are like “cheese Christmas” and noted that cheese incorporates elements of geography, history, science and art. “Each wheel of cheese is like a little treasure,” she said. Although Forward Foods started as one of the few specialty grocery options in Norman, now it competes with big chains like Natural Grocers and Sprouts Farmers Market. It has been able to face down competition for years by adapting when needed and keeping cheese at the forefront. The items within the case are distinctive, but so is the service behind it. Customers are welcome to sample cheese, and it is cut to-order. 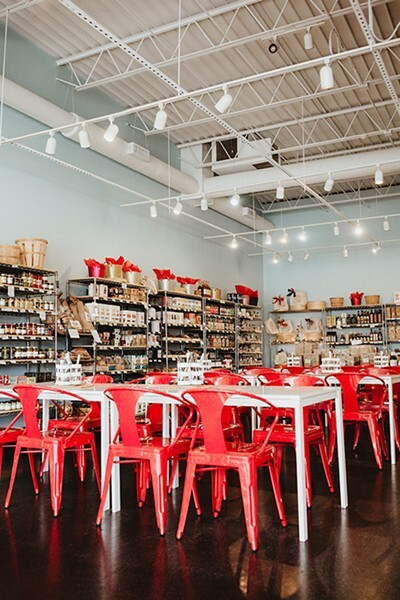 Forward Foods sells a wide selection of cheese, tea, wine and various food products in Norman. Currently, almost everything sold in the store is meant as a complement to the cheeses. There are loose-leaf teas, wine, preserves, dried fruits, nuts, peppers, pickles, olives and bulk pastas. 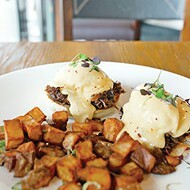 The store prides itself on sourcing from humane producers. It also has a shelf full of fresh spices, which are affordable at a dollar each. Thompson said the student population has been important to Forward Foods as a “built-in audience” since it opened. But they get all kinds. Thompson recalled one customer who came in and demanded the stinkiest cheese they had, so they picked out an expensive and “funky” French cheese. They were delighted when the customer revealed he needed it for catfish bait. “We were like, ‘Well, at least someone’s buying it, I guess,’” Thompson said with a laugh. The shop has food service as well. The lunch menu is focused on cheese, with several grilled cheese sandwiches and charcuterie plates on offer. Forward Foods holds a cheese-tasting class twice a month in the shop and also offers private classes. Those interested should contact Thompson for further details. 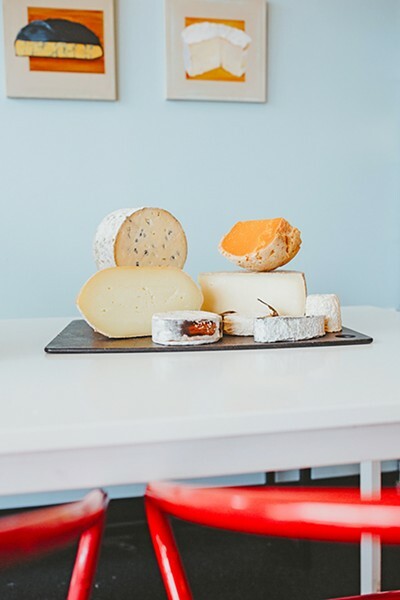 A recent addition is the store’s cheese and wine of the month club, which provides wine by the bottle and cheese pairings on a monthly subscription basis. The first pairing went out at the beginning of January. “We’ve been tasting wine and cheese together for a long time, so we’ve got a lot of really good pairings in our back pocket to pick from,” she said. There was a popular Forward Foods location in Oklahoma City until the end of 2013, when competition with Whole Foods Market caused them to close and focus on the Norman location. 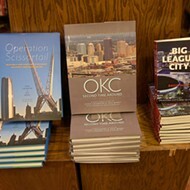 But Thompson hinted that something is in the works to get the business involved in the Oklahoma City area again. They have an additional location in Santa Fe — Cheesemongers of Santa Fe — which opened in 2014. The couple splits their time between Norman and New Mexico.